The Great Famine is an event seared into Irish national memory. 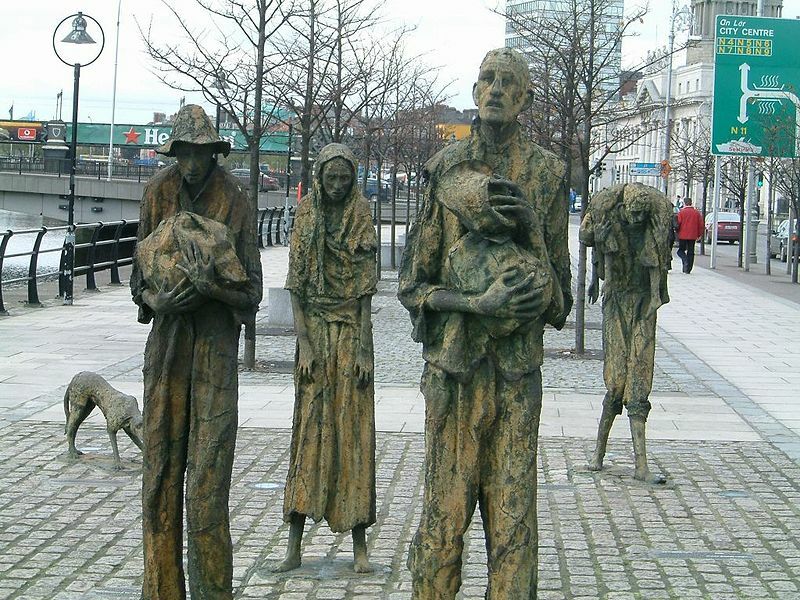 Although the victims of the Great Hunger are rightfully remembered and commemorated, as is the physical fact that vast numbers of people were forced to leave, Ireland today largely leaves the memory of these emigrants at the dock, as they boarded ships to a new life far from home. Preserving the memory and experiences of emigrants once they arrived in their new countries has for the most part been left to their own descendants, despite the broader pride that Ireland takes in her global diaspora. This is in stark contrast to the way the conflict is viewed in Ireland. Despite the sheer scale of Irish involvement, the American Civil War is largely viewed as just another foreign war in which the Irish fought, often regarded alongside Irish soldiers who fought in the service of France and Spain. There is little idea of the sheer scale of that involvement, or of what it meant to the hundreds of thousands of Irish people, survivors of the Great Famine, who with the Civil War had to endure the second great trauma of their lives. Many had survived the failure of the potato and the coffin ships only to fall on battlefields in Virginia or Tennessee. 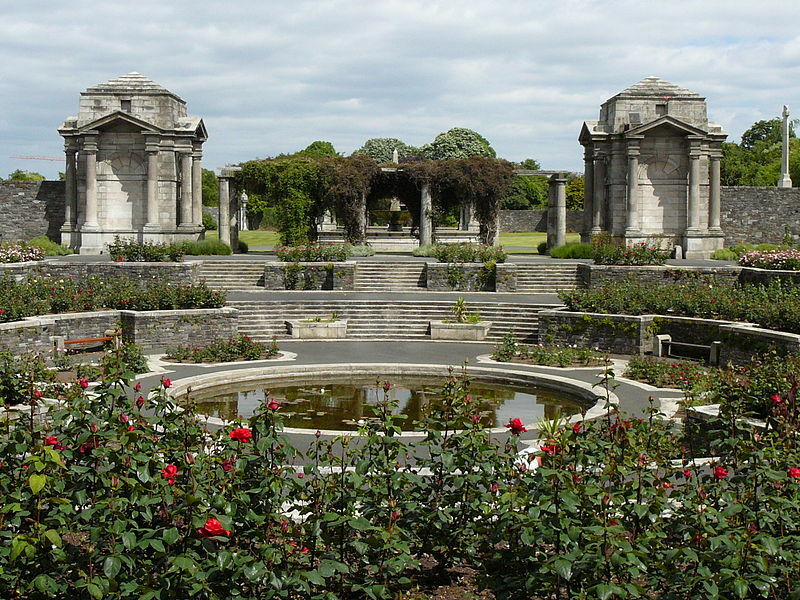 Few publications appear in Ireland on the Irish experience of the Civil War, there are few memorials, and its impact is little discussed. Although some of the more famous Irishmen involved do receive a level of recognition (a particularly impressive example being Thomas Francis Meagher in Waterford), those who had a connection with Fenianism or Irish nationalism are far more likely to be remembered than those who did not (for instance Patrick Cleburne remains virtually unknown in the land of his birth). This is particularly noticeable in the extremely low-level of interest generated thus far within the country on the occasion of the 150th anniversary of the conflict. What is the reason for the difference in attention these two conflicts receive? Firstly, World War One is more recent, and has become a major focus of commemoration across Europe, as the last veterans have recently passed away and the centennial quickly approaches. Irish veterans of that war left from Ireland and came back to Ireland, where as Irish veterans of the American Civil War did not. But perhaps the main reason is that families in Ireland today can directly associate with World War One, as many of their antecedents fought in it. Interest in an event such as the Great War naturally grows when one can view the conflict through the prism of a direct ancestor. The Irish who were caught up in the American Civil War do not have this advantage, because they do not have any direct descendants here. The finality of their departure from Ireland in the 19th century is thus accentuated; the 1.6 million Irish in the United States in 1860 became divorced from their homeland, and ultimately interest in their experiences faded in the land of their birth. It was for their Irish-American descendants to remember them, a role which they continue to do admirably. It is saddening that what these emigrants endured after they left Ireland is not of more relevance for Irish people and the Irish State today. 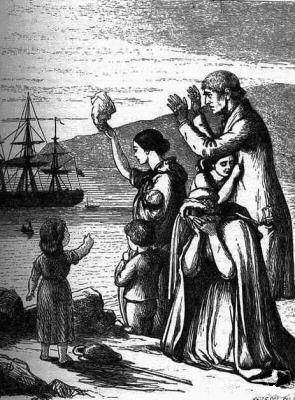 Our failure to appropriately recognise their continued Irishness after their emigration perpetuates the tragedy caused by events such as the Famine. Although Ireland is and always will be proud of her global diaspora, surely the time has now come for us to reclaim an interest in the experiences of those first Irish emigrants who created it. Hi Jim, many thanks- I agree with you wholeheartedly, and long may that remain the case! Great article! I will never forget my Irish ancestors who came over here during the famine and ended up going off to fight for their new country not that long after. I also really value our connection to Ireland! Many thanks- I hope it will not be long before your ancestors and others get proper recognition in Ireland! My second great grandfather, Michael Patrick Murphy, was one of the many who left Ireland for New York in late 1852. He journeyed with his 19 year-old brother Patrick on the New World. In the summer of 1861 the two brothers joined the Union Army to fight for their new country. On September 17th, we commemorate the Battle of Antietam, the bloodiest day in American history. He was there as a sergeant in the 61st New York Volunteers. Can you imagine what he saw that day? The smell of blood and death must have been overwhelming. I’m sure he remembered that awful day for the rest of his life. Both of the brothers were active in chapters of the Grand Army of the Republic. My ancestor rose to be the First Justice of the Peace of Westchester County, New York. My grandmother always referred to him as Squire. For these two brothers, the streets of America were indeed paved with gold. We, their descendants, are the proof. Many thanks for sharing the story of Michael- his experiences must have stayed with him all his life, but his success is testament to the spirit that many of the emigrants took to the U.S. It is time for stories like his to be wider known in Ireland. Many thanks Dirk, and many thanks for the repost! Even here, in the States, Famine-era immigrants that fought in the Civil War are little recognized for being new Irish immigrants. The Irish brigades from Maine and New York get some recognition, as Irishmen, but any connection with the Famine is all but forgotten. The Famine itself is rarely mentioned in schools and in all of my children’s entire high school education, it got a total of ONE paragraph. I often share your posts, and please keep it up- I’ve gained much from the personal stories you’ve included. Americans I tend to think we’re the center of all time and history- I love reminding other people (sometimes actually introducing the idea) that we CAME from somewhere else and we are made of other peoples and places and events. It’s good work you’re doing to keep memory alive. Many thanks for the post and your kind words! Hopefully we can do a lot to make sure these men and women get their rightful recognition! This is a beautiful post. I love reading your blog as it brings together two of my favorite subjects, Ireland and the American Civil War period. I hope your hard work and that of others like you helps people on both sides of the Atlantic realize that this was not just an “American” war, but one that impacted groups of people from all over the world through their connections to the huge immigrant population. As Karin said, the Famine is something barely touched on here in the U.S. unless you specifically searched it out in college, like I did. The diversity of participants in the Civil War is also sadly lacking as the war is painted pro vs anti slavery and stops at that. Many thanks for your kind words! I am really glad you enjoy the blog, it is great encouragement when I hear of people such as yourself who enjoy reading it! I agree wholeheartedly, and many thanks for your comment! The Famine Diaspora. What became of them? Many who went to the United States of America fought on both sides of the American Civil War. Many suffered terrible wounds. Many died. In the USA Civil War veterans are remembered with pride and all things Civil War have enormous tourist potential. Isn’t it time that we Irish acknowledge the contribution our starving ancestors made to the formation of America? Isn’t it time that we Irish acknowledge the tourism potential in having memorials to this part of our very proud history? For an academic ‘take’ on it, read Damian’s recent blog post below. Thank you for this important post, Damien. It is interesting that there is little interest/knowledge of Irish in the US Civil War. It’s a subject close to my heart. I’m glad you’re helping alleviate that situation – perhaps someday there will be a small memorial on Irish soil. Check out a book titled “The Harp and the Eagle” by Susannah Ural Bruce. You can get on Amazon in either Kindle format or various printed formats. 180,000 Irishmen fought for the North and the south had a number of Irish units, particularly from Georgia. If you are interested in the subject start with Prof. Bruce’s book and go from there. Thanks for the comment- it is a fine book and she has done some great work on the subject, her edited Civil War Citizens is also well worth a read. Thanks, Richard – I’ll take a look at it. Another book I picked up last fall in Dublin, is “Green, Blue and Grey” by Cal McCarthy. My G-Gandfather (from Cavan) was Regular Army In the US Civil War. Thanks for the comment, I am glad you enjoyed it. I hope you are right, we will keep plugging away to try and raise awareness! Many thanks for getting in touch! There were a large number of Irish who chose not to fight- for example many disagreed with the Republican war aims and were staunch Democrats. Of course the carnage the war soon started to create had a sobering effect on many who might have considered joining- there a multitude of potential reasons. It is fascinating that all 3 of them stayed out of the war, it is a good thing for them that they did! Thanks for sharing your family’s story. It was an enormous travesty that many of those that missed out on being buried nameless in the mass graves, such as http://limerickslife.com/st-bridgets-famine-graveyard/ would end up buried nameless on foreign soil, after finding a glimmer of hope. Agreed, there are a lot of stories that need to be told. I was talking to someone the other day about the destruction of the early census records and what a loss they were to our heritage. I have gone through the workhouse records here and people were reduced to mere numbers. Very true, luckily there are more and more people becoming interested in history and heritage so sources that we never knew existed are coming online, which is fantastic. My great-great grandfather left during the famine and fought in the American Civil War. A maternal great grand uncle fought with Mulligan’s Irish Brigade in Chicago. Chicago certainly commemorates the “re-building” of the city largely by Irish immigrants to this day. It is disconcerting that there is no one in the auld sod wondering how we fared. It almost feels like we have no “home” anymore. Many thanks for sharing this. I have worked on Mullligan’s Irish Brigade, the 23rd Illinois- check out the ‘Regimental Nativity’ section of the Resources page where I have broken them down by Irish county. The disconnect In Ireland I think is more to do with the lack of a direct line to the American Civil War rather than anything else- hopefully by raising awareness of the huge effect the conflict had on the Irish population we can rectify that situation. By the way what was your maternal great grand uncle’s name? My 2nd great grandfather, Maurice Bransfield joined the Kansas 7th (and 8th) Volunteers. After the Civil War he was an Army Scout. Later he returned to Youghal, Cork and collected his pension there. He stayed in Ireland until his death so he was one of the few veterans that returned to their homeland. This is fantastic- I have been on the look out for veterans buried in Ireland, and he is only down the road! Do you know is he buried in Youghal? I would love to do further research on him and visit his grave if it is is known. Interestingly I have been trying to find an immediate post-war US Naval veteran also called Bransfield from Midleton, who returned home and received his pension from the Post Office here. They must have been able to tell some tales when they came back to Cork! I am very eager to find out as much as I can about Maurice in any event! It’s unclear if he is buried in Youghal. I’ve never been there but I’m told hid son, Maurice and daughter-in-law, Catherine have a gravestone there. I do wonder if it was origionally the father’s and they later buried his son in it. I do have his Civil War Pension file and will check for any information regarding his final resting place. I am in touch with Bransfields from Midleton (no relation that we know of yet) and I’ll ask if he knows anything. What is the Naval Veteran’s first name? My Nana said that he kept them enthralled with all his stories but unfortunately none have been recorded. I do have an affidavit of his Army service in the file. I’d love to share what I have found with you. Are you on Facebook or do you want to exchange email addresses? I’m glad i stumbled upon this fascinating blog. I’ve got an anecdote that kind of fits the theme. My maternal grandmother died in 2002 at the age of 100. She had a terrific memory and was a great conversationalist. She told a story of 2 civil war veterans in town who constantly argued. Supposedly the union veteran received a pension while the disabled confederate didn’t. Grandma lived between Millstreet and Rathmore so it could have been either place. I found this site a couple of days ago and am enjoying it. My paternal grandparents died young. My aunt knew of my interest in history and said that her mother spoke of an uncle killed at the “First Battle of Bull Run.” Since she was raised in Cork and was born in 1908 I didn’t think there was much to go on. However I found a great uncle of hers who had gone to the US and was known to have died in the Civil War. An amazingly quick internet search found a Denis Murphy of roughly the same age killed at the Second Battle of Bull Run while serving in the 28th Mass. I actually googled casualties of the 28th Mass at Second Bull Run and came upon your site. As a history buff and someone interested in archeology I envy you! Many thanks for your comment and the kind words! That is an amazing story, it would be great to find out who the two men were! Few enough seem to have come back, although there was a much higher proportion of sailors who seem to have returned as opposed to soldiers. That is also really interesting about Denis Murphy- do you have nay further family details as to what age he was supposed to have been etc.? It might help you to pin down if that is your guy. Another bit of information that might help is if he was married. Really glad you are enjoying the site and I hope you keep reading! Too much talk about war. Forget about war. I am afraid we should never forget about war- many thanks for your comment nonetheless. Note-in regard about the Union and Confederate pensions–the US Govt gave pensions only to Union veterans or widows or dependents. In regard to CS Veterans-they received pensions only from THE STATES From which they surved! Link to the 1849 Minot Ledge Shipwreck of 1849…. Just terribly sad. What incredible pain & suffering WAR/GREED/IGNORANCE can inflict on people.